Security has been stepped up in the Kenyan capital, Nairobi, ahead of the inauguration of President Uhuru Kenyatta for a second term in office. More than 20 heads of state or senior ministers are expected to attend. Opposition leader, Raila Odinga, who boycotted a re-run of the presidential poll, has called for a protest rally, despite a police ban. August’s presidential election was annulled by the Supreme Court over what it called “irregularities”. The re-run, on 26 October, saw Mr Kenyatta win 98% of the vote with a turnout of just under 39%. Tuesday’s ceremony at a sports stadium in Nairobi is due to get under way at 10:00 local time (07:00 GMT). Organisers are expecting about 60,000 people to fill the venue and giant screens have been set up outside for those unable to get in. President Kenyatta’s deputy, William Ruto, will also be sworn in. Among the foreign leaders expected to attend will be Israeli Prime Minister Benjamin Netanyahu, Ugandan President Yoweri Museveni and Rwandan President Paul Kagame. The Kenyan opposition coalition has called on its supporters to boycott the inauguration and instead hold a rally in memory of people killed in clashes since August’s election. The police have warned the coalition against holding the event. Why was there an election re-run? 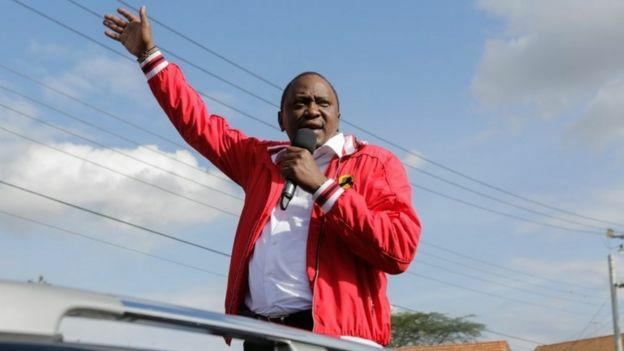 Kenya’s Supreme Court took the unprecedented decision to annul the 8 August presidential election and demand a new poll in September citing “irregularities and illegalities”. Chief Justice David Maraga said the election had not been “conducted in accordance with the constitution” and declared it “invalid, null and void”. The court said the result was “neither transparent nor verifiable”. 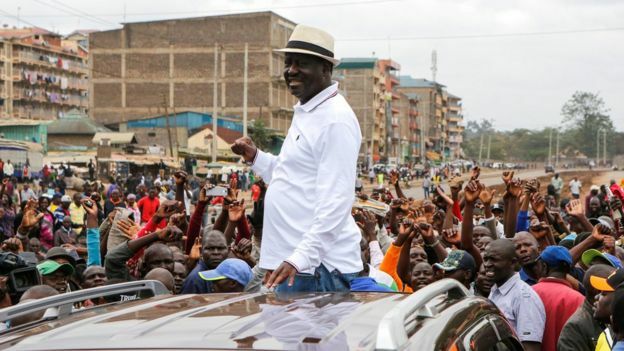 Mr Odinga then urged his supporters to boycott the second vote because he said no reforms had been made to the electoral commission since the original poll. However the re-run went ahead in October and the Supreme Court has since validated the results, but correspondents say the election dispute has left Kenya deeply divided. What has happened since the first vote? The aftermath of both polls has been fraught with tension and Mr Kenyatta will face an uphill task in uniting a fractured nation. 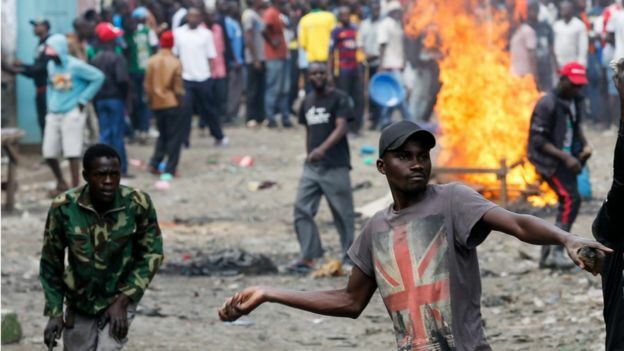 About 50 people are reported to have been killed in violence since Mr Kenyatta was declared the winner in the initial August election. Mr Odinga, who went away on a 10-day speaking tour in Europe and America after withdrawing from the election re-run, has called for a “national resistance movement” to “restore democracy”. Speaking earlier this month, Mr Odinga said: “Today is the day we are launching Kenya as a third republic. “What you have seen is a signal that a third liberation is coming soon,” he added.